Starting in the Gleneagle Hotel you will run 200m to collect your bike from the bike racking. You will proceed to Cycle along the stunning Ring of Kerry Route and take the Kerry way through the forest to Lord Brandon's cottage. From here you will drop you bike at the transition area in the Black Valley. 16K Sealed Road, 4K Gravel Path. Please note that you must dismount your bike at a narrow bridge on the gravel path to Lord Brandon's Cottage. 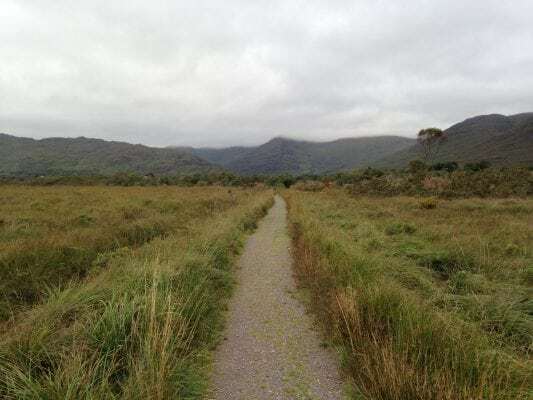 The cycle along the Kerry Way to Lord Brandon's Cottage is a narrow gravel track. There is no opportunity for overtaking along this section. The roads are not closed and are open to traffic.